Join Us for Revisit Day! Congratulations on your acceptance to Trinity-Pawling! Join us on campus for our Revisit Day on Saturday, April 6, 2019. We look forward to seeing you! Register today to attend. Check out the following highlights from the current school year, including project spotlights, athletic and artistic accomplishments, and more. Dive in! You are one of a fantastic group of young men who have been accepted to Trinity-Pawling. You hail from 9 different countries and 17 states. We hope to see you in September! The Pride Shows Their School Spirit! Winter Spirit Week kicked off during the last week of January and it was packed with fun — on and off campus! Boys participated in a series of themed dress-down days, a broomball tournament on the frozen pond, trivia competitions, dodgeball games, skiing at Thunder Ridge, and more! How will you show your pride? Students from Westover School joined our service trip to the Dominican Republic over Spring Break. The group worked with Bridges to Community, Inc. to help with repair and building projects in La Guama. This is just one example of the many travel and service opportunities you'll have at Trinity-Pawling! Christian Colantonio ’20, Youwu Fang ’20, Solomon Hess ’20, Tim Manning ’20, Rory McLaughlin ’20, and Tian Yu ’20 showcased their communication and problem-solving skills in their 2019 Global Collaborative Challenge presentation, Edward Snowden, Hero or Traitor? Their presentation received the highest ranking by the faculty panel. What topic will you present during your junior year? Trinity-Pawling's Theater Department presents three main-stage theatrical productions each school year. The 25th Annual Putnam County Spelling Bee took the stage in Gardiner Theater just before Spring Break. The smash-hit musical comedy had three full-house performances, complete with hilarious cameos from faculty and staff and a stellar student tech crew who made it all come together. Whether you like to be on the stage or behind the scenes, there's a place for you in the Theater Department at Trinity-Pawling! The Pride placed 2nd at the Western New England Championship in early February. They took 4th place at the New England Championship and 9 wrestlers earned All-New England status. The Pride then took 6 wrestlers to Nationals and placed in the Top 20 out of 122 schools! Liam Dietrich ’21 earned All-American status at Nationals by placing 4th overall. There's nothing better than 300 brothers rooting for your success...roll pride! 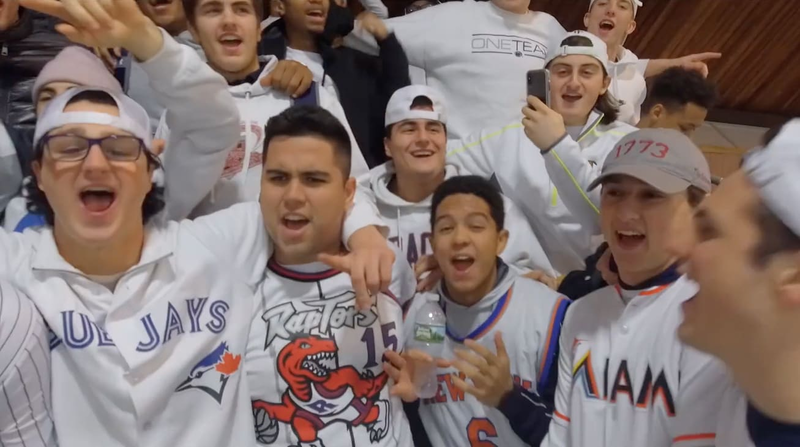 For his Winter Project, Broadcast Journalism student Henry Hopkins ’22 filmed, edited, and produced the We Are The Champions welcome video. Put your video skills to the test at Trinity-Pawling! Capture the action on campus with a GoPro or anchor an episode of T-P Sports Nation...the opportunities are endless! Trinity-Pawling partners with Smart Tuition for all tuition and financial aid. Following your enrollment in the School, you will receive instructions on accessing your Smart Tuition account.